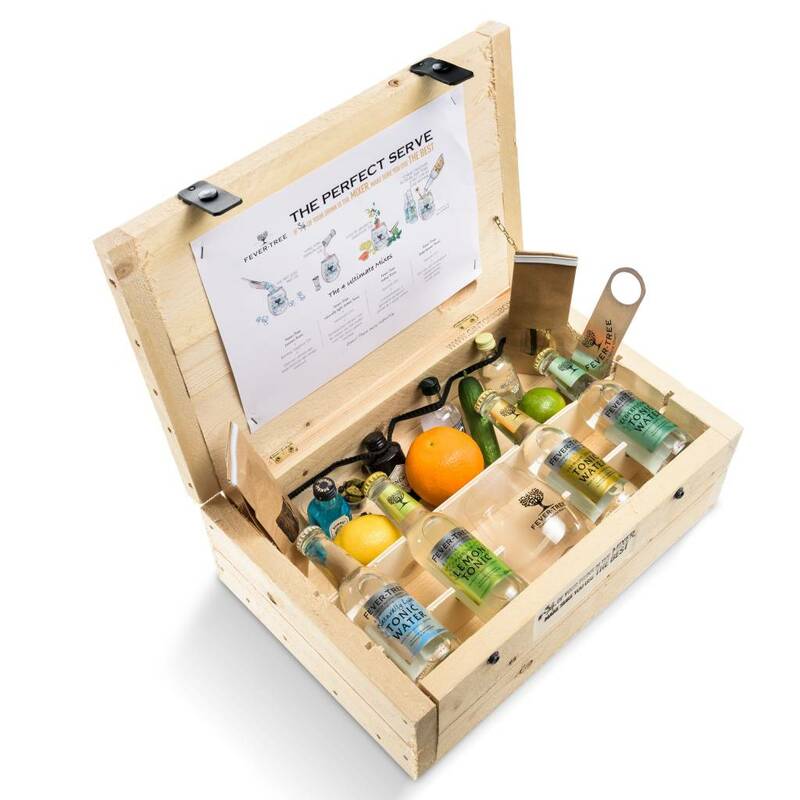 Those who have never been introduced to the combination of gin tonic will be given the opportunity to discover which gin is best for this business gift or birthday present. 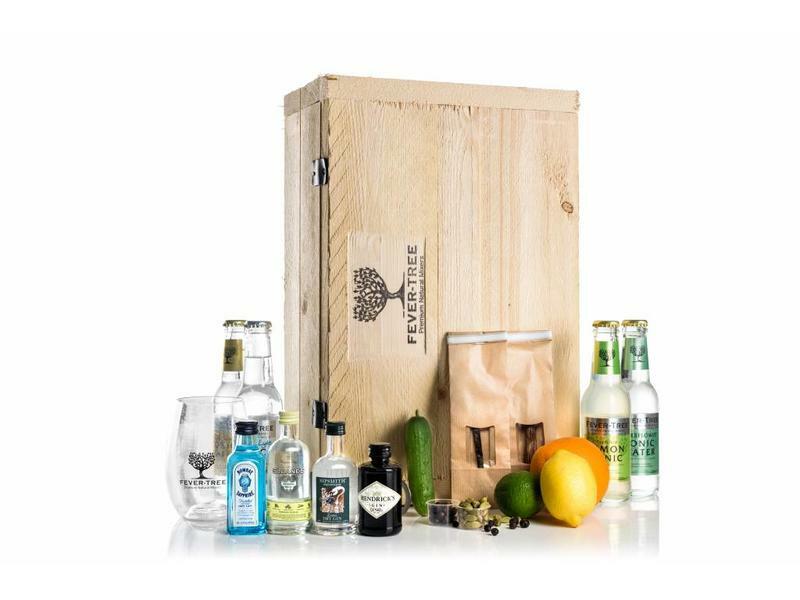 In addition to four types of gin: Bombay Sapphire gin, Hendrick's gin, Martin Miller's gin and Van Dyck gin, the package consists of a number of bottles of Fever Tree tonic, a glass, an opener and a variety of garnishes: liquorice, vanilla, juniper, cardamom. Also the fresh ingredients lime, lemon, orange and cucumber are not lacking. 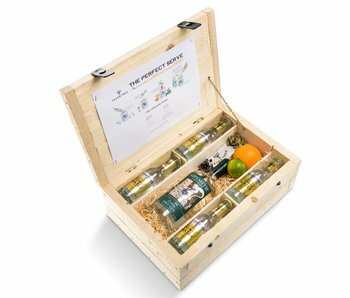 The tonic has also been chosen for four different varieties in this luxury business gift. 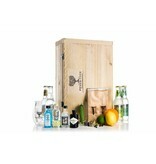 At the Bombay Sapphire gin we recommend Fever Tree Lemon tonic. 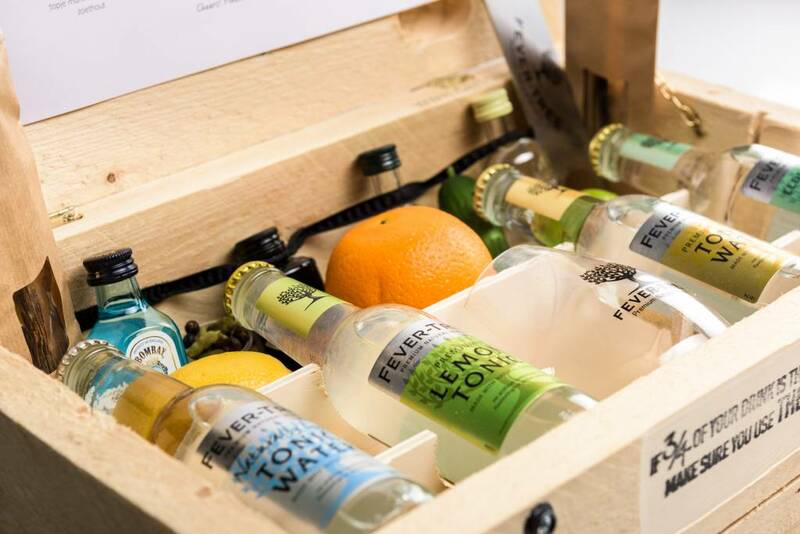 Hendrick's gin can be combined with Fever Tree Naturally Light tonic. 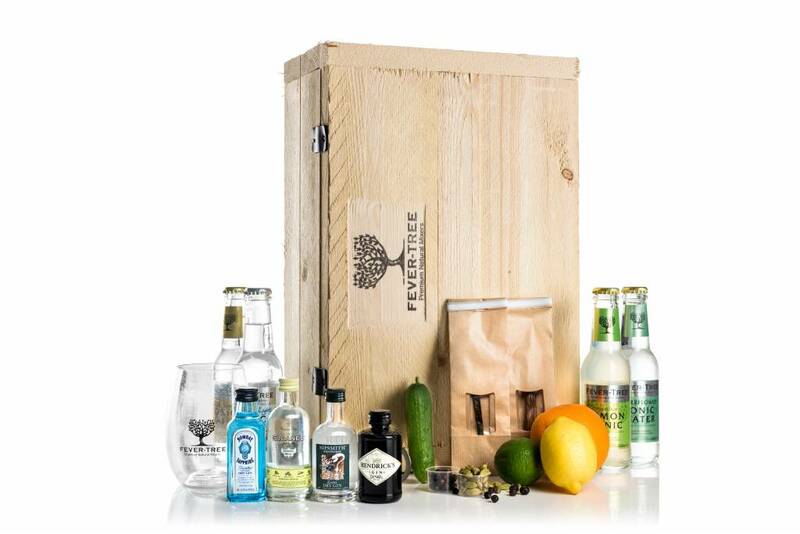 The Martin Miller's gin can be provided with Fever Tree Indian tonic and finally the Van Dyck gin tastes very good with Fever Tree Elderflower tonic. 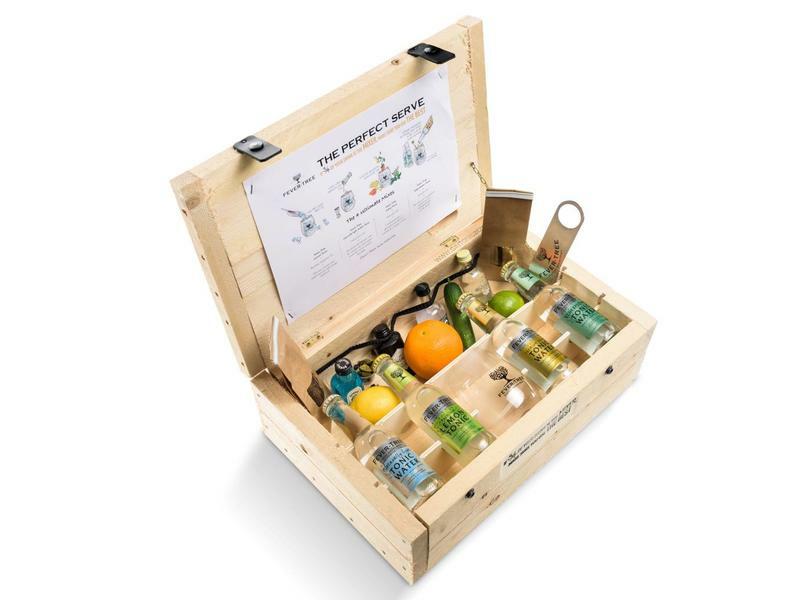 Of course, the tonics can be exchanged at your own discretion, as the package is meant to discover which taste is best. The unique thing about our original gifts is that fresh ingredients are also delivered. For example, by combining the gin tonic with cucumber, lemon, orange or lime, it is possible to taste gin tonic in a different way. Licorice, vanilla, juniper and cardamom are the flavorers that complete a gin tonic cocktail. 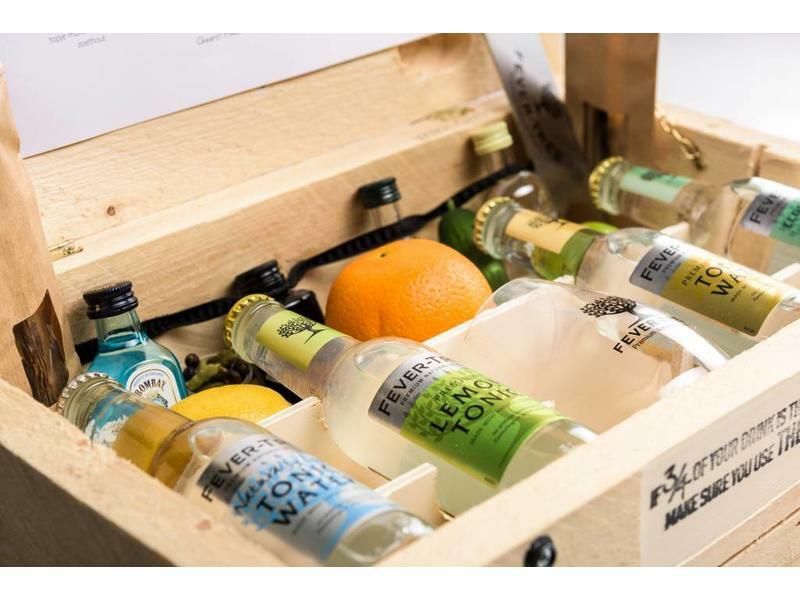 Of course, the package is delivered in a handmade box and the gift is complete with a glass and an opener. 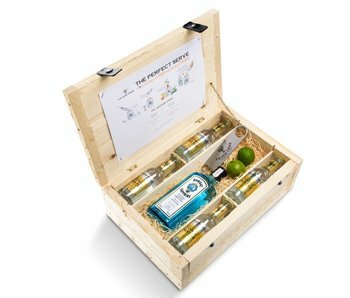 In addition, this luxurious gift box with four miniatures also contains an instruction explaining how to serve the perfect gin tonic. 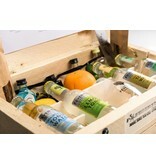 A gift box that is certainly suitable as a birthday gift or business gift.